France’s got Talent! 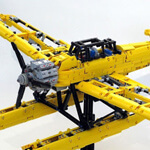 Hugolinvh is a French builder who is since a few months designing with great ingenuity GBC modules. His videos, shot in high quality, highlight all the creativity of his inventive mechanisms. Do not miss his very good idea of the Legophone which, even though it is not (yet?) 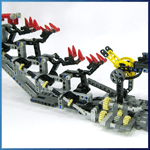 a GBC module and it contains some non-Lego parts (the xylophone blades), is really worth seeing.